You are here: Home / 2017 / Mindjammer – Traveller edition now available! Mindjammer – Traveller edition now available! 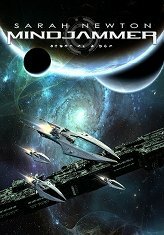 Modiphius Entertainment and Mindjammer Press are delighted to announce the release of Mindjammer – Transhuman Adventure in the Second Age of Space (“Mindjammer Traveller”), a complete 384-page hardback setting supplement for the second edition TRAVELLER RPG from Mongoose Publishing. The ENnie Award-winning transhuman science-fiction RPG setting returns, in a brand new edition for use with the TRAVELLER roleplaying game! Available now in print + PDF bundle and PDF-only version from the Modiphius webstore and in PDF-only version from RPGNow / DriveThruRPG. detailed character cultures, genotypes, and new careers – play a sentient starship! starmaps and planet descriptions, histories, and background. Print + PDF bundle and PDF-only version from the Modiphius webstore. PDF-only version from RPGNow / DriveThruRPG. « Mindjammer: BLUE now available!